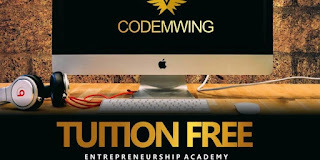 by CODEMWING TUITION FREE ACADEMY. 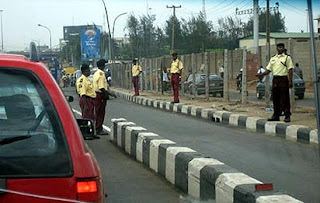 lee building, 13b Allen Avenue, ikeja. Participants who successfully undergo this program are kitted to earn a decent living, create jobs and combat the menace of unemployment, under-employment and unemployability. The idea to industry initiative is designed to train 5000 youths in Nigeria every Quarter on available skill of choice for 8 weeks free of charge, every trainee gets a chance to pitch for a business start-up fund from $500 to $5,000 after training . This training is brought to you by CODEMWING TUTION FREE ACADEMY & START-UP INITIATIVE.